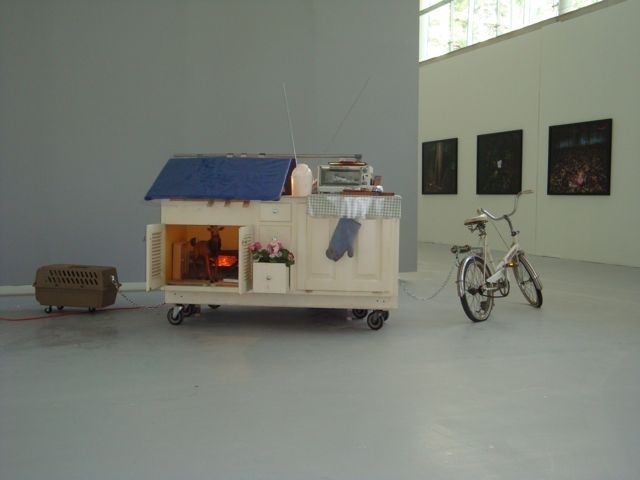 With an MFA in Sculpture from the School of the Art Institute of Chicago (2009), Daniel's sculptures and installations are an investigation into the paradigm of home, raising questions such as what constitutes home, what are its boundaries and what are its requirements. Blurring the lines between functional space and art installation, Daniel's work examines size and scale in relationship to function and efficiency. Using as small space as possible while still retaining its essence and purpose, Daniel continually examines and reinvents his relationship to the surrounding domestic and social environment.